The Most Powerful Features Found In 1 Loyalty Platform! 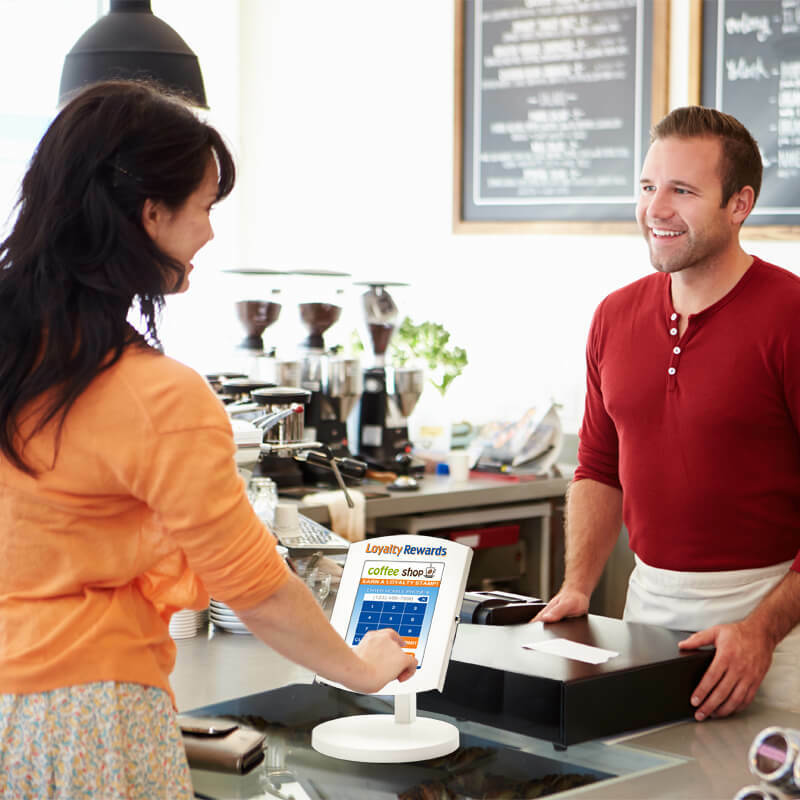 Loyalty BIZ affordably provides Fortune 500 loyalty technology to local businesses. 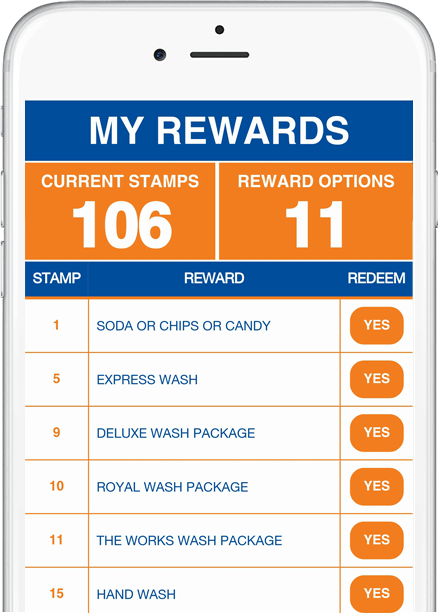 This is not your basic loyalty program only allowing you to give stamps or points to customers for rewards. 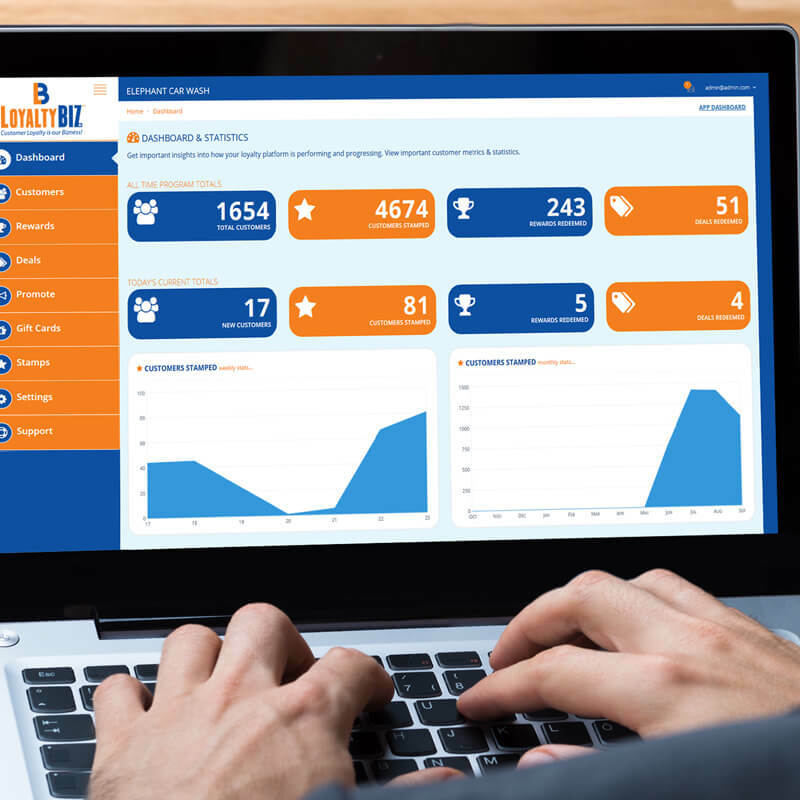 Loyalty BIZ is a complete platform with many features not found in other loyalty programs or apps. 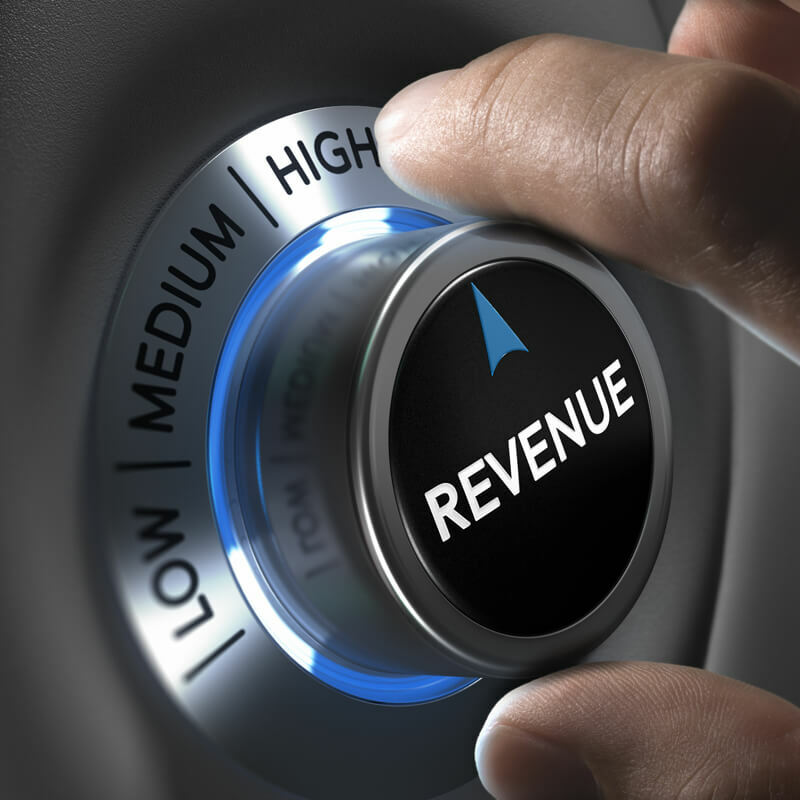 It’s our proprietary platform that will take your businesses to the next level. 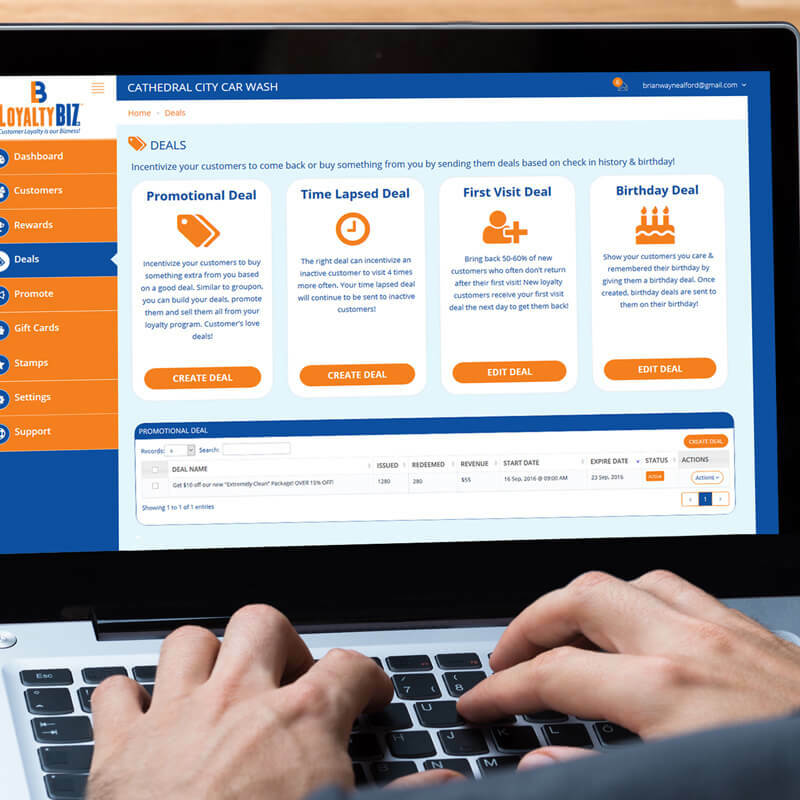 Don’t consider using anything else since Loyalty BIZ already has everything you need to manage 100% of your customer loyalty with new features added regularly. 50% of new customers don’t return. Collect customer’s information after their first visit to keep them engaged & coming back. 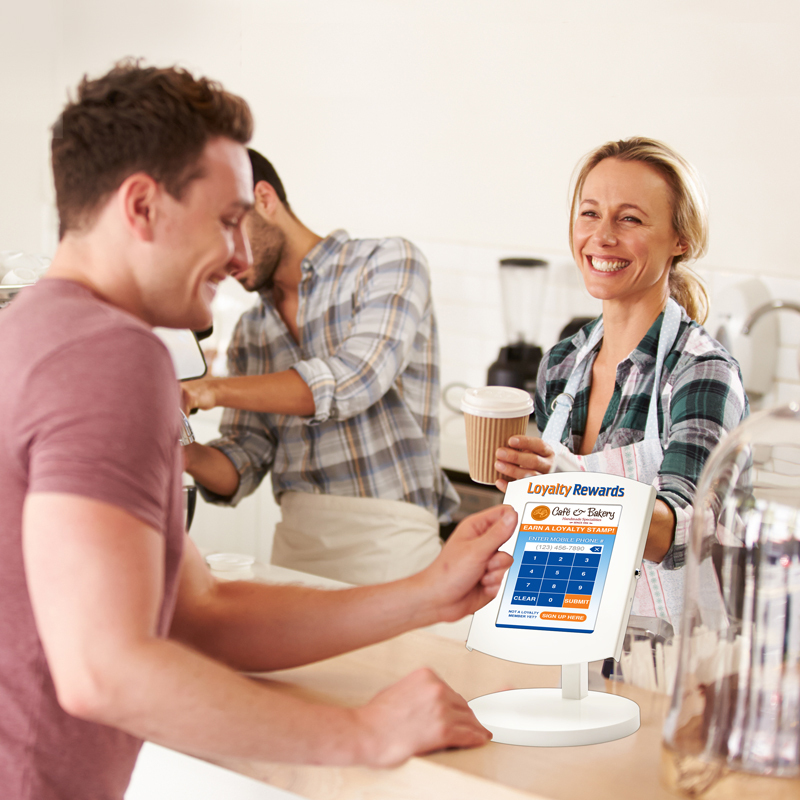 Your loyalty tablet kiosk is the best in the industry. When placed at the point of sale, it will capture 10 times more customers to your loyalty program. 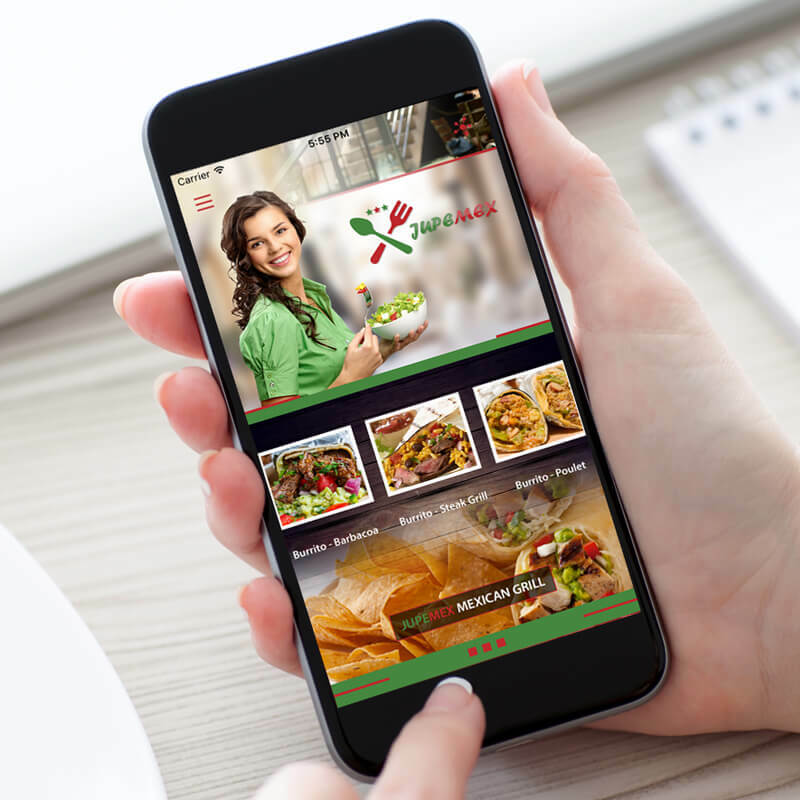 We make your business its own branded mobile Progressive Web App full of features including your loyalty program. 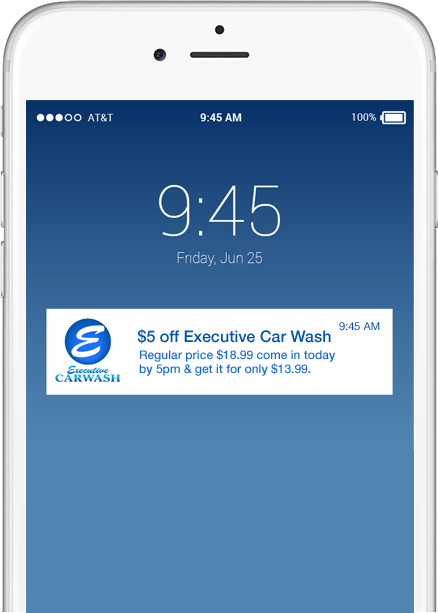 Capture customer data such as visits, stamps, rewards & deals. 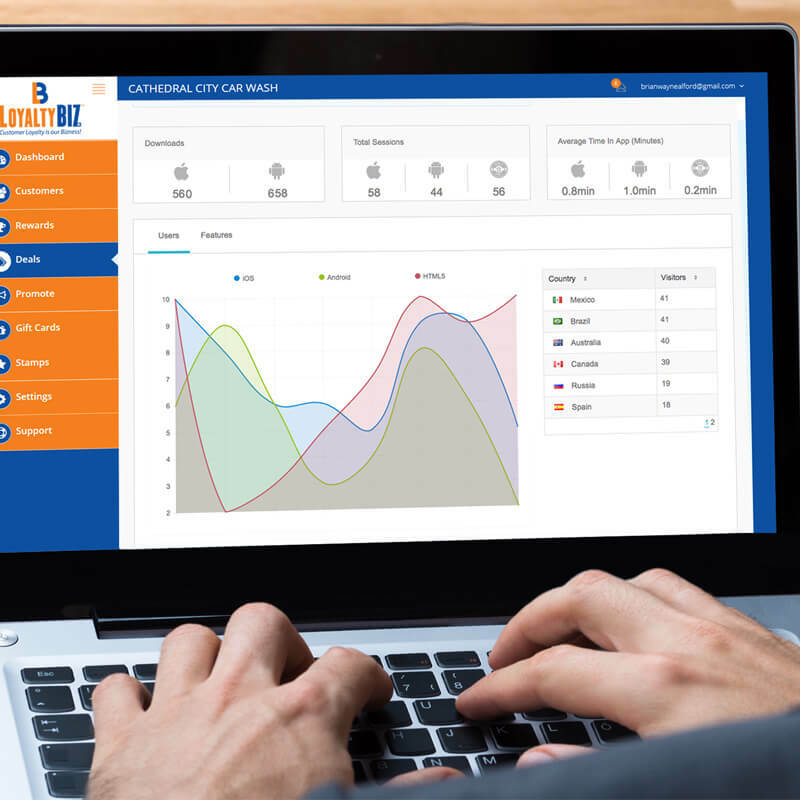 View your loyalty program’s success within your own dashboard. Track your app’s usage, engagement, downloads, sessions & average time spent. Capture important user demographic info. 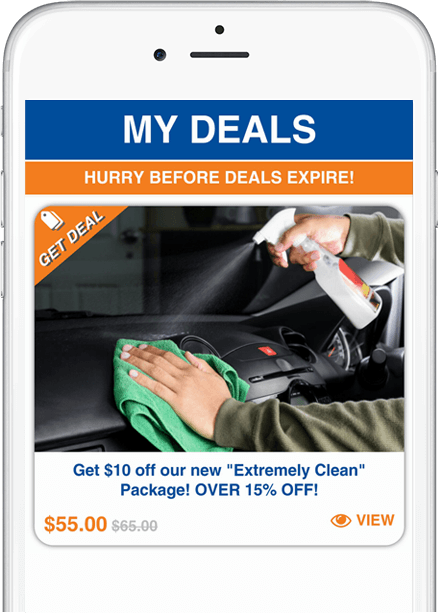 Customers automatically are sent text messages & deals such as: welcome text, first visit deal, birthday deal, time lapsed deal & more. Slow day? 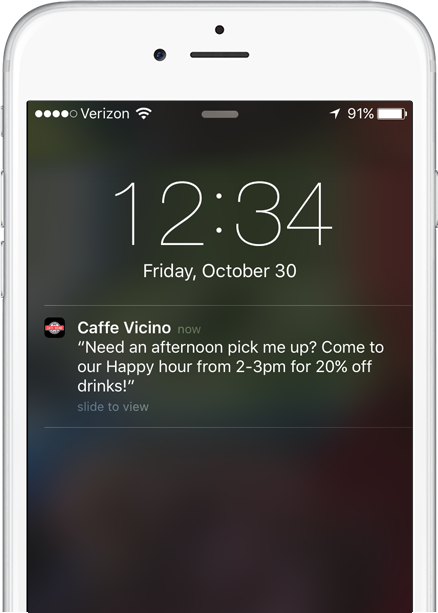 Send text message offers to your customers enticing them back. 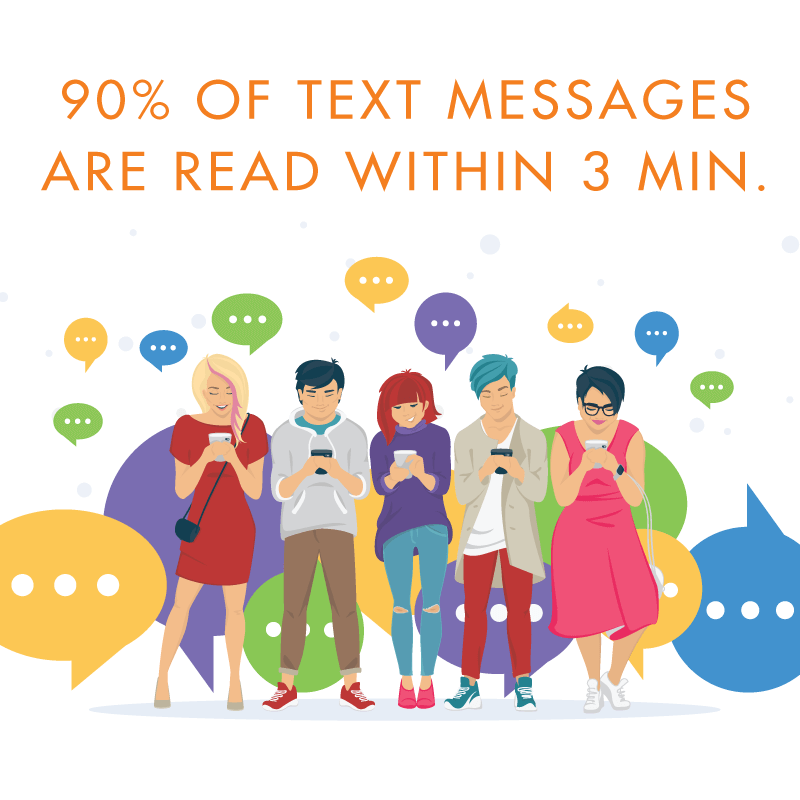 90% of text messages are read within 3 minutes. Don't even consider using email. Send unlimited push notification messages to all your app users phones keeping them engaged. Alert them of specials or new products as often as you like. 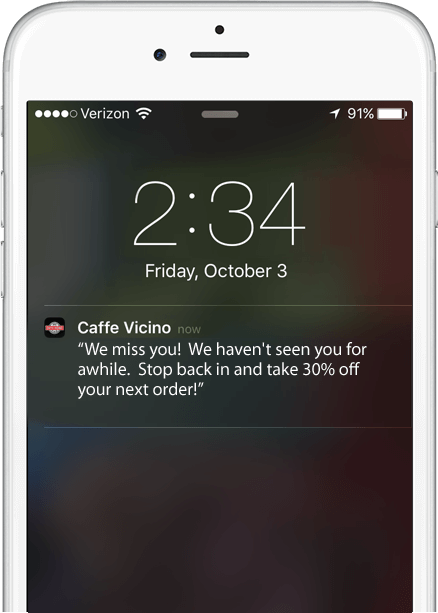 Automatically customers who have not visited your business for a set period of time are sent a text message to entice them to come back. Loyalty customers receive digital stamps each visit. Stamps accumulate to redeem rewards keeping customers coming back over & over. 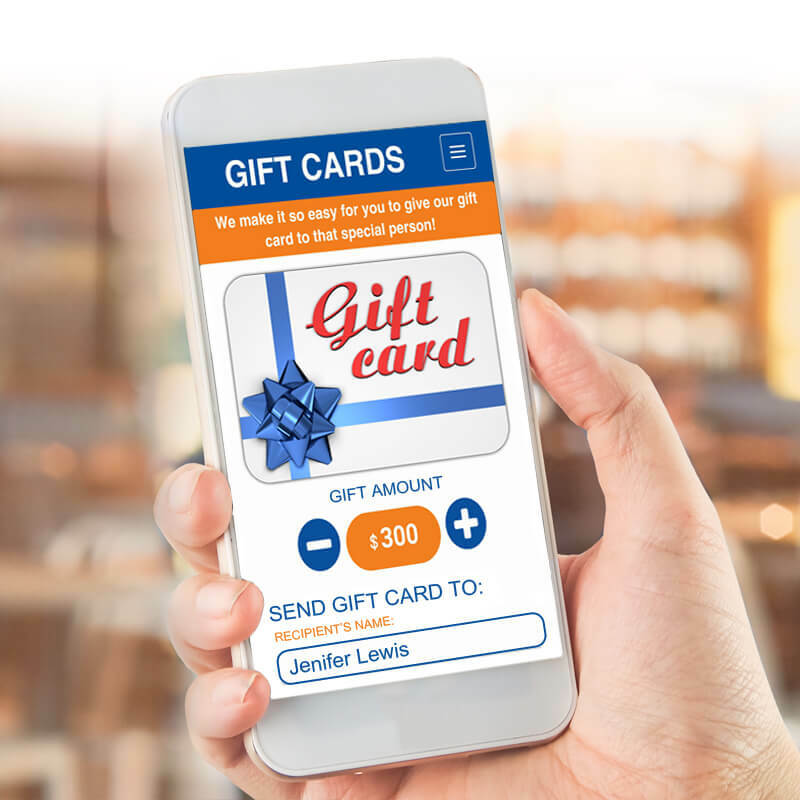 Sell your own e-Gift cards 24/7 from your App, Facebook page, website & more. 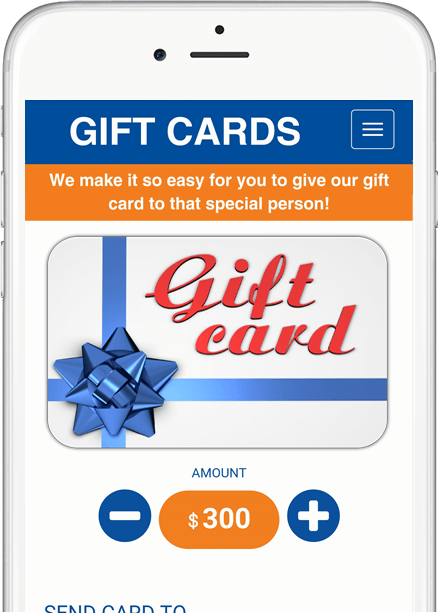 Relax while we deliver gift cards to the recipients at the exact date & time set by buyer. In your dashboard you can create deals to sell to loyalty customers. Sell your deals on your kiosk, app, website, Facebook page & more. 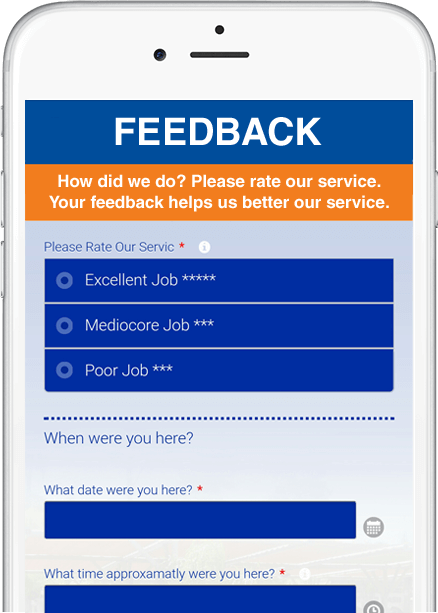 Give your customers a private channel to easily give you feedback before they leave negative reviews on other websites & social media. Connect your loyalty program to your Facebook page. 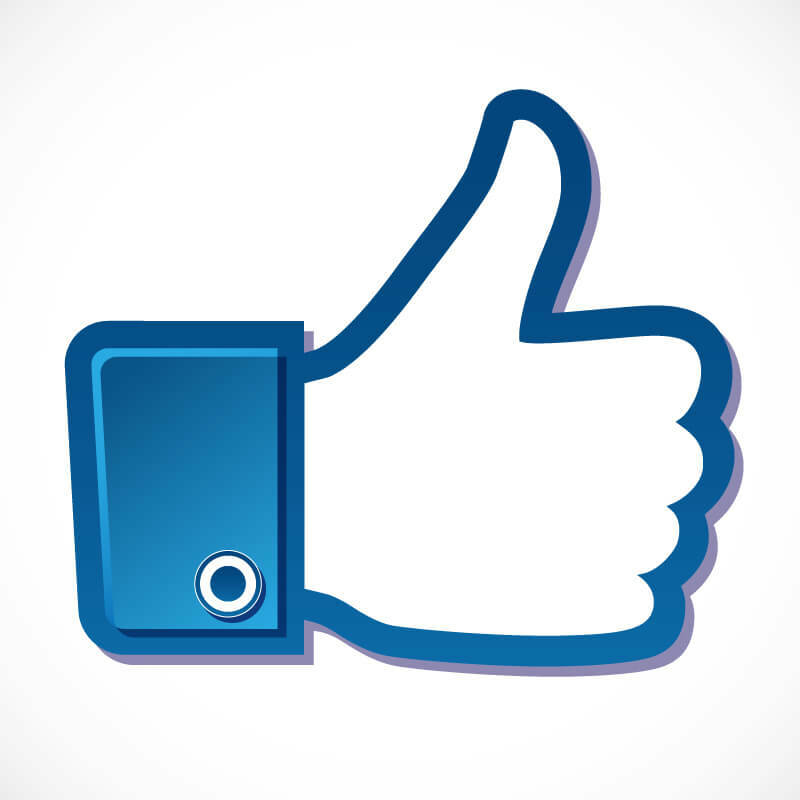 Customers can sign-up for your loyalty program, “Like” your page, buy e-Gift cards & deals. Businesses using Loyalty BIZ see increase customer visits by up to 54%. Drive loyalty while simultaneously bringing in more dough. 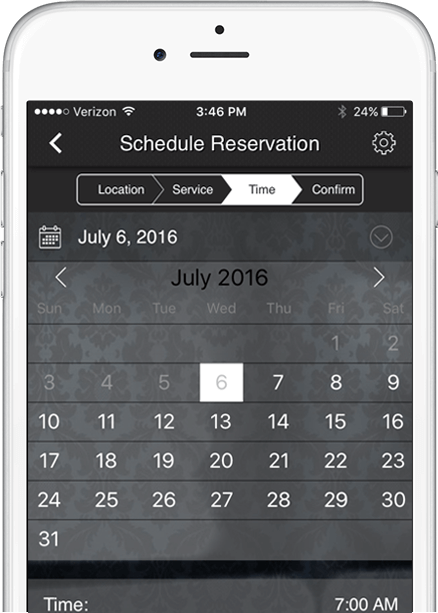 Customers can make reservations and appointments right from your app including being able to see your available times. This adds convenience and saves time. 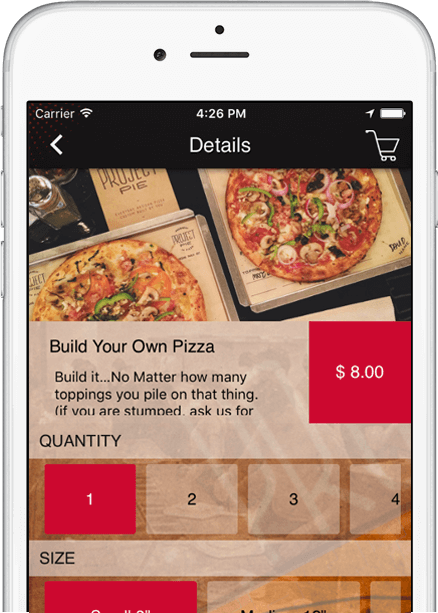 Customers can order your food right from your app. Accept multiple orders at once without tying up your phone lines, and never mishear another order again. 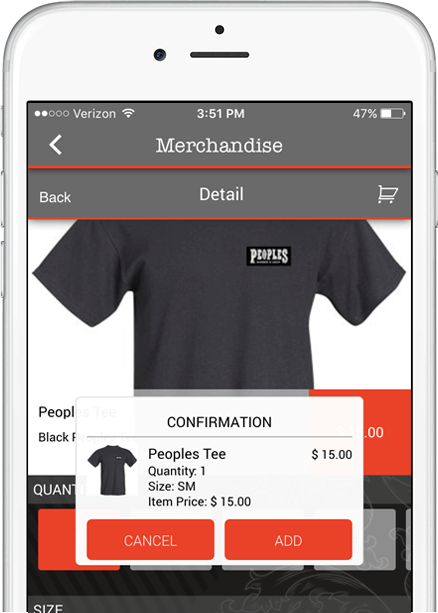 Customers can buy your merchandise right from your app. Customize item photos & descriptions. Accept payments & set delivery fees & tax rates. Experience the Power of Customer Loyalty!